My daughter Emily is 19 months old, and up until a couple of weeks ago, she would wake somewhere between 1 to 4 times in the night between 9pm and 7am. The wakings would vary between 20 minutes to over an hour at times, and with each waking she would only settle with me (mum) with a breastfeed. We tried having Daddy going in to her to settle her back to sleep, but she would just screams and screams until I would go and feed her back to sleep. We tried many different ‘gentle’ things to help her sleep – later bedtime, earlier bedtime, later naps, earlier naps, baby massage, more food, banana before bed, more drinks, warmer clothes for bedtime, a comforter, white noise, night light, bedtime routines, bedtime story, no TV in the run up to bedtime… You name it, we tried it! The benefits for doing this were obviously a decent stretch of sleep for everyone, which would help me recover from my PND and also allow Emily to get unbroken sleep, which ultimately aids her development and gives her body the opportunity to grow and heal. These goals were pretty high on our agenda! My GP advised us not to leave this for too long, as she said that by the age of 2 children learn a new set of behaviours which would have made harder for us to try and change her current pattern, so letting Emily take the lead on this and ‘just go with the flow’ as we had been until now didn’t sound so appealing anymore. In fact, it wasn’t really working for us as a family anymore. My GP also helped us see that we had given her a lot of chance to allow her naturally to sleep for longer periods, and perhaps if she isn’t it’s because she is in a bit of a ‘habit’, where she uses the breastfeed for comfort, as a way of soothing herself. After all, she shouldn’t physically need to be drinking milk during the night, as we think that she eats enough and well in the day. Our doctor also suggested that we gave Emily anti-histamines before bedtime to induce drowsiness. Of course my instinctive reaction was that this meant ‘drugging’ my child, and not only did it feel ‘wrong’, but I also feared being judged for it. The doctor explained that the reason for this was to give her the best chance of sleeping for a long period in an attempt to try and break the habit of waking, and when she did wake to allow her to be drowsy enough to settle back to sleep. What would Emily feel? What would she think? One of the main issues I had with regards to coming up with an action plan to encourage Emily to sleep for longer stretches was dealing with my own feeling of guilt. If I left her and she cried, I was worried that she would feel abandoned and think that we didn’t love her. I was scared of damaging the attachment and bond she has with us, which I knew has the potential to increase her stress levels and affect the pathways and wiring in her brain! I had several discussions with my GP about this, and she explained that because we give Emily love all the time in the day, and we have been attending to her at night too since she was born, she has already developed a sense of secure attachment to us, and I should focus on this. Before we went into this I was feeling quite anxious, and I am still worried about what other people would think of us if this was perceived to be a form of controlled crying, which has never been something I thought I’d choose for my children. When she wakes in the night, we would try not to immediately go to her room and leave her to grumble / whinge for a bit. If the crying escalated, we would go to her without engaging in eye contact and conversion – we’d soothe her, tell her it’s night time and we’ll see her in the morning and leave the room. Night 1: Emily fell asleep with her milk. She woke at 2am, and she grumbled for an hour. She wasn’t crying – just grumbling. Then her older sister woke up and left the room they share, which caused Emily to start crying. This tailed off to some grumbling for another half an hour in total. I felt AWFUL. I felt incredibly guilty, but I kept reminding myself that if I went in after she cried she would be learning that I would go in eventually if she carried on crying, and I would be doing no favours to the plan of making us a happier family! Night 2: She settled herself in bed after her milk and woke at 11pm. She cried for a couple of minutes afterwards and then settled. She didn’t wake again until 6am the next day! Night 3: She settled herself in bed after milk, and she didn’t wake up until 5.30am! I was amazed. I didn’t for 1 minute think that the hard time was over, but I felt more optimistic. Night 4: Emily had a really long nap in the afternoon, not waking until 4pm! This is never a good indicator for a decent night time with her, as we’ve noticed that she needs to be awake by about 3.30pm at the latest to mean that she’s tired enough to settle at bedtime. She fell asleep with milk at 7pm, woke at 2am and for the next 2 hours there was a mixture of crying, grumbling and silence. I had massive guilt in the morning, and I nearly decided not to keep going as I felt like I was abandoning her. Night 5: This is a night I go out to teach, so it’s always a bit tricky as I am on a clock to get her settled – I’m sure she can sense that I’m always a little anxious to get out the door. She was really fussy over her milk that evening, but after grumbling in bed to sleep, she actually slept until 5am. Night 6: After nursery Emily was really fussy at bedtime – she was playing, feeding and wriggling. She screamed as I put her down but quickly settled and didn’t wake until 5am. Night 7: After nursery she fussed again at bedtime, then settled herself in bed and woke at 4.45am. I was starting to feel like we were making progress – 3 nights without a night time feed is a record! Night 8: She fell asleep having milk and woke at 4.55am. Night 9: She fell asleep having milk and woke at 4.20am. At this point I started to wonder if she would just get up earlier and earlier, as whenever she woke up we would get up for the day so that she wasn’t getting a feed and going back to sleep. Night 10: We decided to reduce the dosage of antihistamines and give her three quarters of the dose that the GP recommended to us. I didn’t put her to bed until 7.20pm, which is late for her, and she slept until 5.35am. Night 11: With a half a dose of antihistamines Emily was asleep by 7.15pm. She settled herself in bed and woke up at 4.50am. Night 12: Again, with half a dose of antihistamines she was asleep at 7pm and woke up at 6am the next day, despite having had a nap until 4pm! It was the best night she has ever had!! Night 13: Emily had a quarter of the recommended dose of antihistamines and after nursery she was asleep by 7.25am. She settled herself in bed, stirred at 2am but settled herself after a couple of mins and woke at 6.15am. My alarm went off for work before she woke up!! This is unheard of, and she had settled herself in the night, which she had never done so efficiently before! Night 14: With a quarter of the recommended dose, after nursery Emily fussed a lot at bedtime. She wouldn’t settle in the evening, so I went back in for another feed, and when I put her down awake in bed she settled. Both girls woke screaming at 2am, so something must have woken them. Charlotte ran into our room, and I went into Emily. I comforted her for a couple of minutes, left the room and she settled herself. She stayed in bed until 5.30am. Night 15 – With no antihistamines, I was feeling very nervous, but she fell asleep during her milk feed. Night 16: Fussed a lot at bedtime, and I had to settle her twice, but once she settled she stayed in bed until 5.30am. I am still in some disbelief that there was only a limited amount of grumbling and crying – I thought it would go on for weeks! I tell Emily how clever she is for being in bed all night, and she’s so proud in the morning J And I must admit that I am starting to feel better already. I don’t mind having to get up early with her – we get our one-to-one time and play together before her sister wakes up, which is nice. I wonder whether she has realised that she can still have me all to herself if she wakes a little earlier rather than doing it in the dark at night! I’m so glad we did this. It was a really difficult decision, but we felt comfortable that all of our worries were addressed and what matters the most is that we felt that we went through our options and made an informed choice for the greater good of our family when we felt ready! 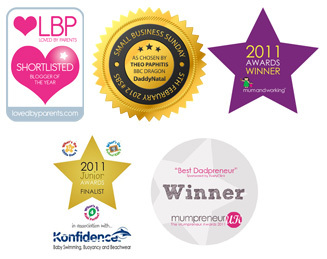 Laura is our BabyNatal and MummyNatal teacher for Romford and Thurrock. You can also find her on Facebook under Your Natal Way. Disclaimer: the content of this article does not replace medical advice. Please do not give your child any medication without consulting a professional first. This entry was posted in Uncategorized and tagged antenatal, antenatal classes, baby, Baby Calming, baby care, baby safety, baby sleep, babynatal, breastfeeding, family life, gentle sleep, instinct, Parenting, PND, post natal depression, postnatal, practical baby care, sleeping methods, toddler sleep by Steph. Bookmark the permalink.